Pimping The Penguin: Where are 'vino-preferences'? So, earlier today, I'm having an issue with Ubuntu MATE 18.04 after I installed Vino. In the past I've been able to just use vino-preferences from within the command line, and the little configuration window pops up and allows me to set it up so that I can remote into a machine without having to have someone at the other end "OK" the log in. 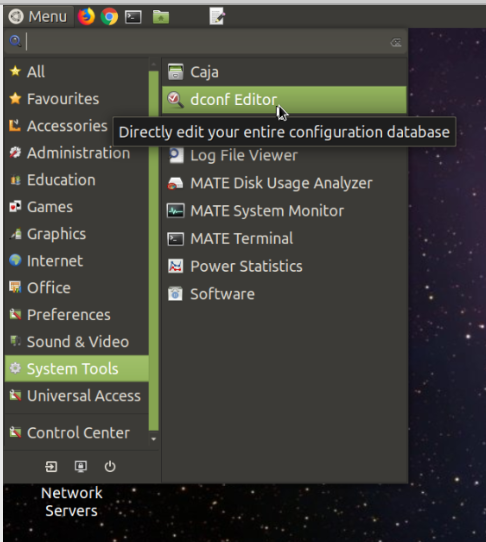 I tried to install the gnome-control-center so that could get the preferences to pop up. As VINO did install, and I did successfully get it to run at startup. I just needed to tweak it a little bit to get it set up the way that I needed, and as far as I was concerned I could uninstall the gnome control center if it got in the way. So, I come across the dconf-editor, in fact, I'm sure that I've used it in the past 4-5 years, but I totally forgot about it. (Slap on the forehead) It would seem that some of the Raspberry Pi users have had this same kind of issue. Simple fix once you figure it out. This little fix doesn't allow for you to change the password for the remote user (I didn't look to see if there was a fix for that) as I was planning on using the default password. 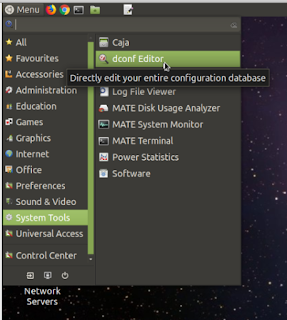 You can also access it via the MATE menu later, if you need to tweak something else.